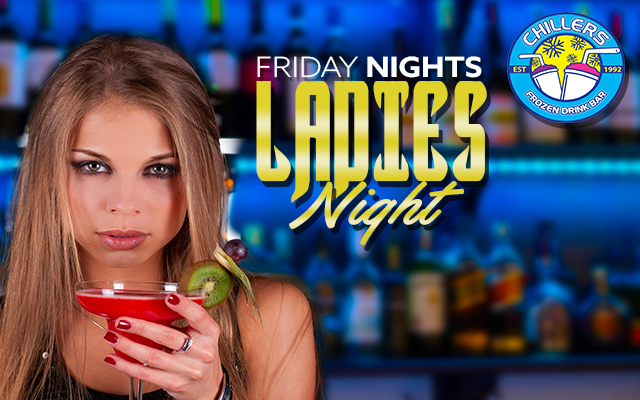 Fire up your Friday with FREE drinks for ladies at Chillers in Downtown Orlando! 2 FULL Hours Of Free wells, beer, and frozen drinks. NO COVER for LADIES all NIGHT! Chillers is freezing out the competition with Friday Night Ladies Night in Downtown Orlando. FREE cover for ladies ALL NIGHT! Ladies drink FREE 10PM - midnight!